Sarah and Luc get married on Brothers & Sisters. It's a touching moment. What's going on in this Brothers & Sisters scene? We'll find out May 1. It's tough decision time on Brothers & Sisters. Where has she been? This surrogate's return sounds suspicious. Saul and Nora on Brothers & Sisters. These two are actually brother and sister. Kevin, Kitty and all the Walkers face a serious turning point this week on Brothers & Sisters. Justin and Sarah in the March 6 episode of Brothers & Sisters. Gotta love these two together. 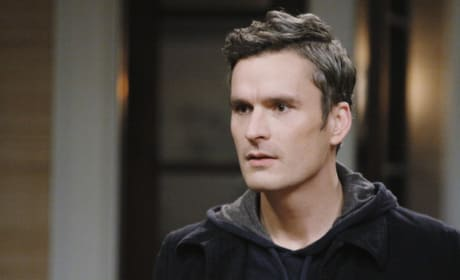 A shot from Brothers & Sisters' March 6, 2011 episode. 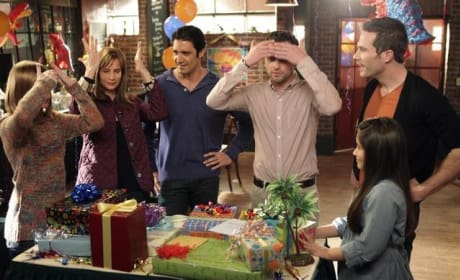 It's Evan's birthday, but the gang has other motives for a D.C. trip. Tommy Walker has come and now gone again. He tends to do that. 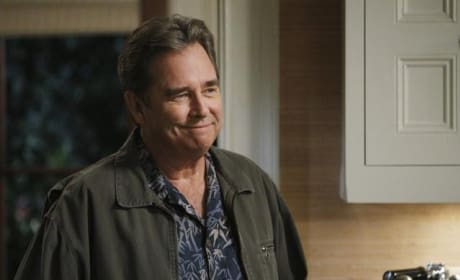 Beau Bridges comes to Brothers & Sisters February 20, 2011. Will his character, Brody, romance Nora? 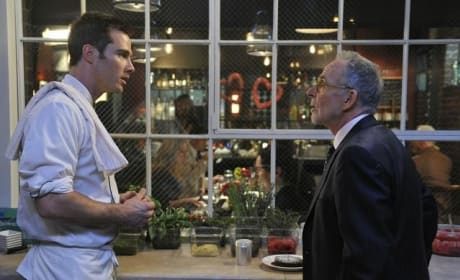 Scotty and Saul in the February 13, 2011 episode of Brothers & Sisters. Any episode that features these two is good by us! This is Brothers & Sisters' Olivia. She's a real sweetheart.